I just wrapped up the third month of SAPLoud. Visitors on SAPLoud.com have sharply gone up to 1984—that’s a 245% increase from the previous month. There were only 575 visitors in September. Most of the increase came from social network. In particular, it came from the post “Shortcut keys in SAP, must share with end user” which went viral. In addition to the Social network, google search traffic has risen to 274—that’s a 175% increase over the previous month. 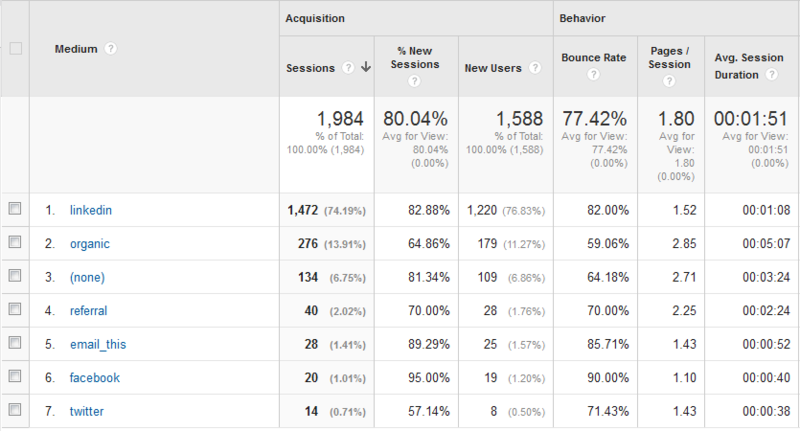 There were 100 visitors who came from search engine in September. In the month of October, total number of subscribers has gone to 94. In the month of September, it was 52. This shows a growth of 80.76%. The search traffic has gone up by 175%, however not as much as I wanted, but it’s my fault. I have not been focusing enough on building links because I’ve been trying to focus on good quality article and attractive headlines. Also I posted very few articles in October. In comparison to last month, there is a very good improvement in search engine traffic. However, I cannot ignore the fact that search engine visitors are only 13.8% of total visitors. This month I got 275 visits from search engine and total visits are 1984. I must post more articles and focus on link building. To improve visibility of SAPLoud on search engine, I will be focusing more on content creation and link building. Currently I am totally dependent on social networking site and my subscribers for traffic. As you can see that I got more than 75% of visits from social networking sites. 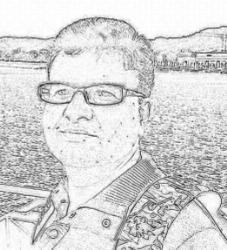 I am getting very good response from visitors from social networking sites. People write about my articles on linkedin and facebook. Facebook likes has been increased by 12.69%. On 30th of September there were 252 likes and on 31st of October there were 284 likes. Last month I have completed my SAP Certification in Sustainability and Business Innovation. This is my third SAP Certification after SAP MM and SAP PM. While doing this certification an idea of sustainability for my website came into my mind. I started thinking what can I do for the sustainability of my website. Therefore, I took initiative on Sustainability. I got 1984 visits in Oct 2015. 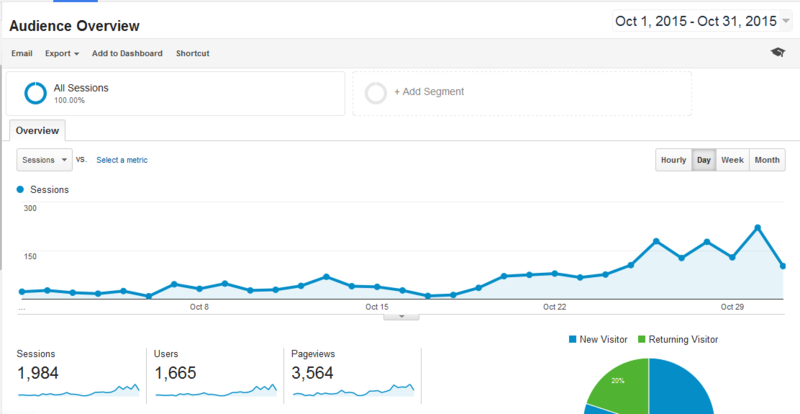 I am expecting more than 4000 visits in November 2015. Providing a good quality information, good experience and visitor engagement is my primary objective. I have taken three good steps for a long term sustainability of my website. Visitor engagement: This month at the starting I activated the comment section at the bottom of each article. I took this step to engage visitors with my website. If a visitor is reading an article and has some more information about the topic to share or some queries related to article then visitor deserves a space to enter his/ her opinion. I saw many websites where lot of SAP knowledge is shared. But they do not have comment section active. For engaging visitors on my website I have coment section active. Fortunately, I got good response on my articles. In my article “Shortcut keys in SAP”, many visitors shared lot of quality information through comment section. 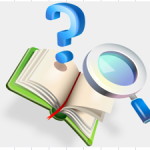 In another article Catalog in SAP PM, one of my visitor Tony raised a query. I wrote a separate article to address his query. Now such kind of communication with visitors is good for a long term relationship with them. In other words it is good for sustainability. Image optimizer: This month I realize that my website is taking a lot of time to upload on browser. Many times visitors do not like to visit a website which takes a very long time to upload. In long term such issues may cost a lower traffic on my website and it’s a threat to sustainability of SAPLoud. Then I checked my website and found that there are more than 400 images and size of these images is huge. Then I used an image optimizer to reduce the size of each image and I reduced the size of all images by 46%. Such kind of step improves the visitor’s experience. Good for sustainability. Connection on Social networking sites: When an SAP Consultant visits a website to acquire or share SAP knowledge then the consultant wants know who is owner of the website. Who is behind all this stuff? If you look at websites such as erpgreat[dot]com, tcodesearch[dot]com, you never know the person behind these sites. Today I am running my website, creating value by investing my knowledge. Visitor must know my name and My LinkedIn profile. So that they can connect with me and get in touch with me. A personal connection makes a good impact and builds a trust among visitors. Good for sustainability. You can connect with me on LinkedIn. Click here to view my profile and connect with me. Engaging visitors, reduction in image size to speed up the website and connection with users build up a kind of trust and creates value. This is Sustainability. Overall, October was a fairly good month. I hope that in November search engine traffic will be up, and social media visitors will keep on visiting my work. What do you think—how am I doing so far? Please comment below. I was searching for one PM issue & got your address of your Website. Such a informative website for SAP. Nice to read that it became popular rapidly and getting momentum day by day. The 100 interview questions are awesome. You will be glad to know that i still have your notes in my laptop with folder name of Vaibhav Mishra which I received from you in 2011.